People express themselves in many different ways. 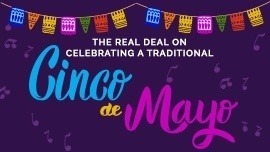 Some sculpt, some draw, some compose, some sing, and some… design intricate costumes based on existing characters and wear them around, dazzling and mystifying spectators. 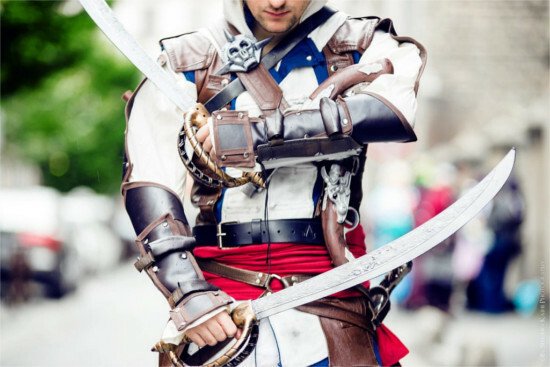 With cosplay, what often starts as a hobby may quickly evolve into something else entirely. For some, it has even become a livelihood, either through selling handmade products or being discovered by companies and hired on to become the official cosplayer for a particular character! Don’t believe me? 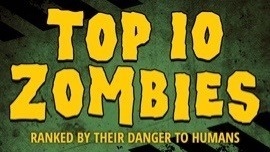 Well I’ve picked out a few that you’re bound to enjoy. These jaw-dropping, gorgeous costumes are often hand-made by their dedicated wearers, and presented at conventions across the world. While some make their costumes by hand with cardboard and whatever else they can find, Neal Bockhaut, or NealBomBad on deviantart.com used his own method; 3D printing. 3D printers are growing in popularity and after seeing what they can do, I’m not shocked to see why! He says it took over 500 hours of printing time and many more spent priming and sanding to strengthen the plastic pieces. This amazing picture features not a figurine or game graphic, but Neal actually inside his costume. 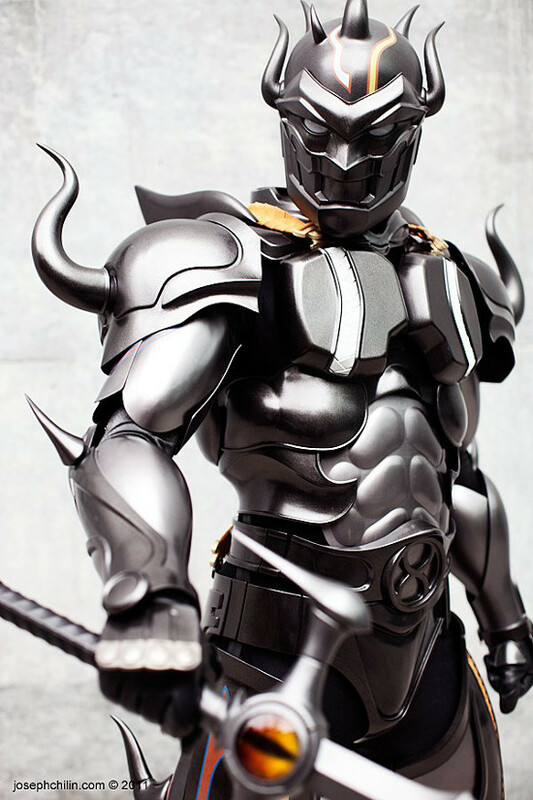 It’s Cecil Harvey, Dark Knight from Final Fantasy IV, and it’s very impressively done. Kyle, aka Ex-Shadow, is a 27 year old guy whose hobbies include art, video games, and anime. What better way is there to combine those interests than cosplay? 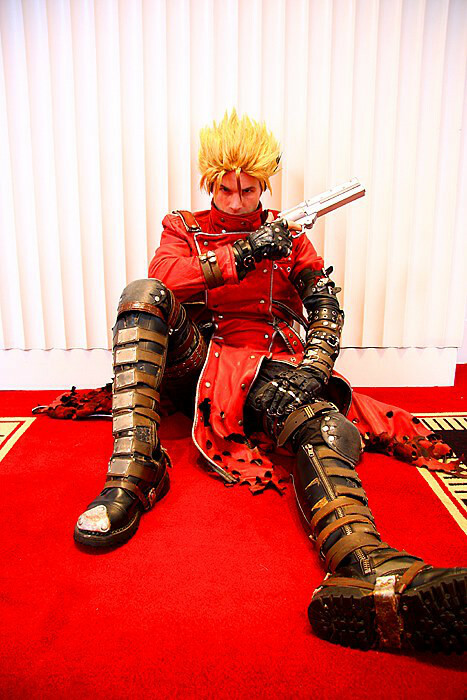 He has made many costumes, including his favorite character, Vash the Stampede, from the popular show Trigun (which used to air on Adult Swim years ago). He runs a Facebook page that he updates with his latest costumes, including the status of his works in progress, which offers newbies great insight into how to make their own. 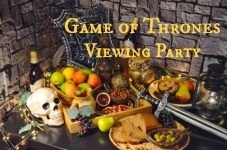 You can give it a look here! 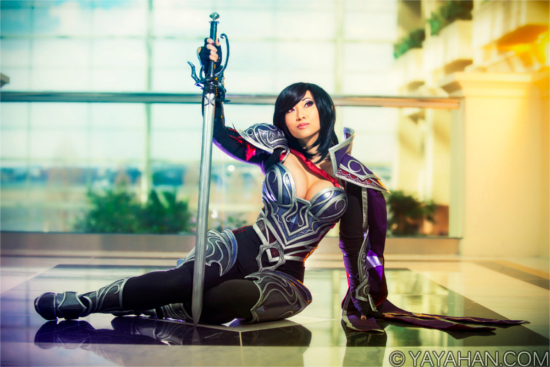 This 24 year old has been cosplaying since 2004, and made a name for herself quickly. Malindachan attended a convention for the first time in 2007 and quickly found herself sought after and invited to more. She frequently wins awards for her costumes and participation in skits. She has done a lot of big name titles, including Kingdom Hearts, Legend of Zelda, and Final Fantasy, and looks great in every single one. Sometimes it’s really hard to pick a piece to showcase! But I finally decided on her Link from the Legend of Zelda, with the awesome nature backdrop. With a strong interest in wigs, she offers visitors a deviantART page with lots of tutorials and tips. It is entirely possible to turn cosplay into a career, as proven by Yaya Han, a well-known figure in the Costume Play world. She’s often invited to conventions to run panels and speak to fans about her work and technique. She mixes things up with a combination of existing characters and original work, showcasing her talent in every single piece, including this one of Fiora from League of Legends. 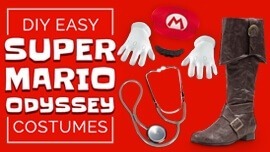 A lot of these costumes have been perfectly accurate down to the last little detail, but that’s definitely not a requirement. I’ve seen steampunk Link (Legend of Zelda) and twisted Disney princesses galore, but this a particularly interesting one. Kyosti Kallio put a little twist on Iron Man and thought about what would happen if he were to be infected by a zombie virus. Well, the result is pretty cool. 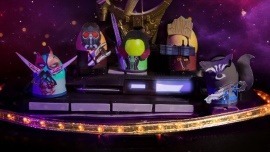 Can you believe this is not a movie prop? It’s Mike La Jute Blanche, a French cosplayer who is simply amazing. He’s also been sighted as an strikingly accurate Piccolo from Dragonball, green skinned and all, and has been rumored to rip out people’s spines as a Mortal Combat player. He even keeps a spine prop around for pictures! Sometimes what impresses me most are the locations people find to actually take their pictures, and this is a wonderful example. 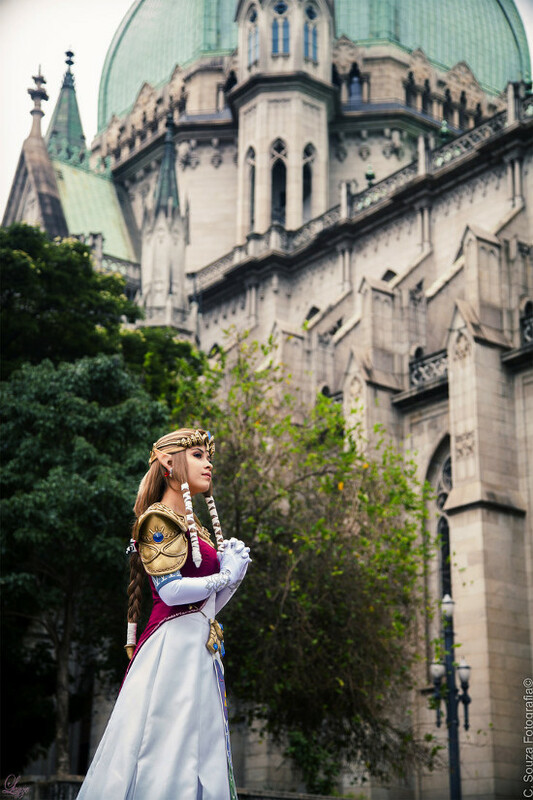 Here we find Twilight Princess’s Princess Zelda in her natural habitat of a castle. Laahmichelle is only 19 years old and lives in Brazil, showing us another amazing case of cosplay from around the world. 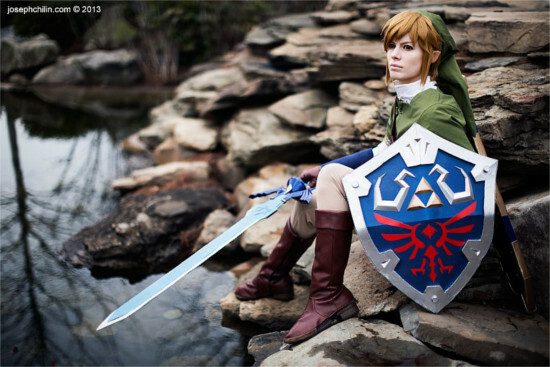 I seem to be going on a Legend of Zelda spree, but I can’t help it with all these amazing costumes to present! 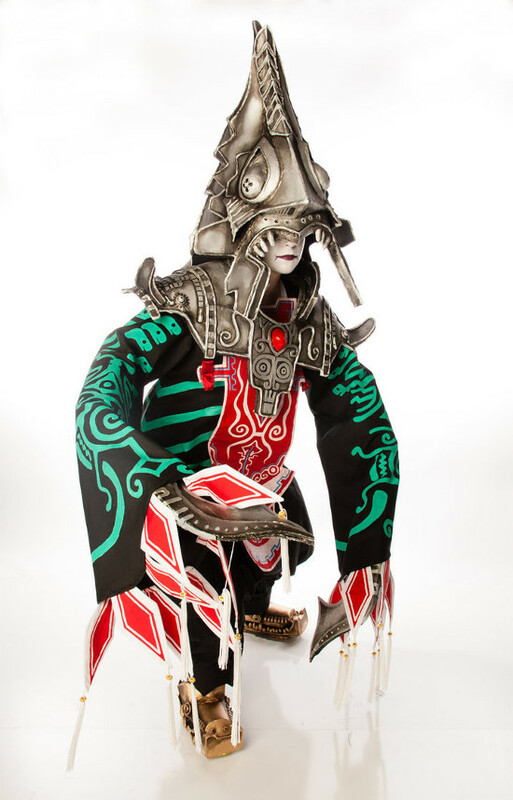 Melanie Colley, otherwise known as shinigami714, leaves me no choice but to show off this highly detailed Zant costume, which won best in show and best workmanship at Anime North 2013. The mask and blades are simply wonderful, and the makeup gives it the perfect finishing touch; definitely deserving of a few contest wins! 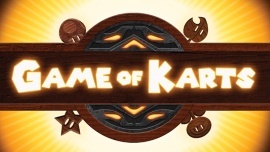 It's Kratos, the God of War… or shall we say Goddess! Sometimes girls want to dress as guys, and vice versa, and there’s nothing stopping them! Often they turn out even more amazing than the original, and VampBeauty, or Linda Le, gives it her all in her portrayal of the God of War as a female. Mass Effect has some pretty intricate designs but that doesn’t stop determined artists from pursuing their craft! 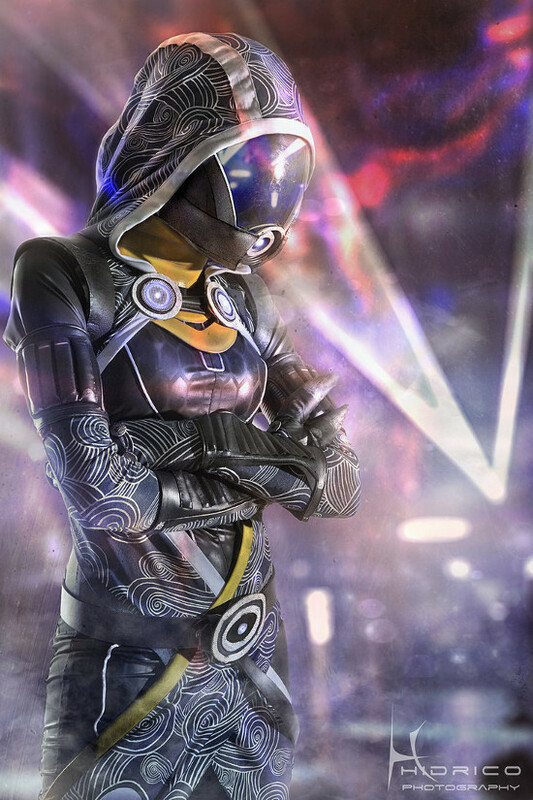 Nebulaluben really struts her stuff as Tali'Zorah vas Normandy. 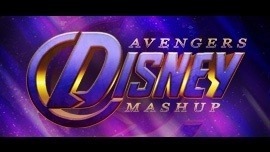 Some editing was done in the background, putting an interesting twist and extra emphasis upon the character without actually changing the costume itself, making it look even more spectacular. 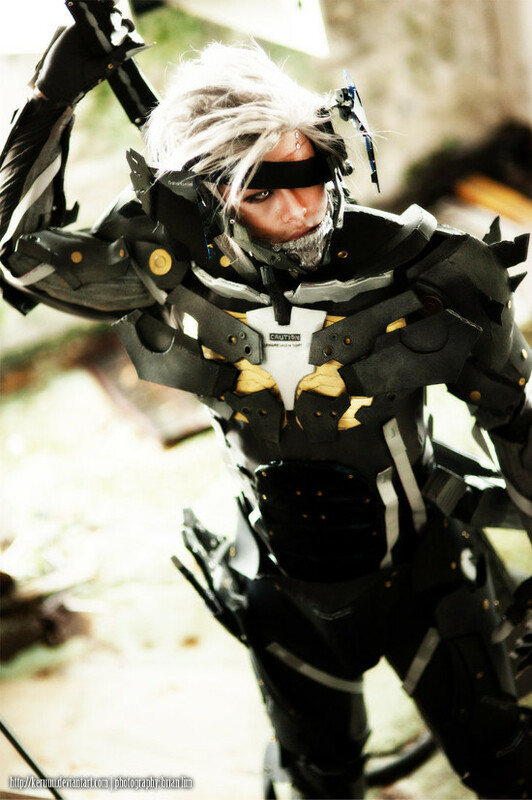 This picture was shot in Singapore, where keruuu was able to find an abandoned warehouse to serve as the perfect setting for his Raiden costume (from Metal Gear Rising). Born in North Carolina but currently living in Singapore, Kelton is really putting his Fine Arts degree to good use, creating costumes and props of supreme quality. 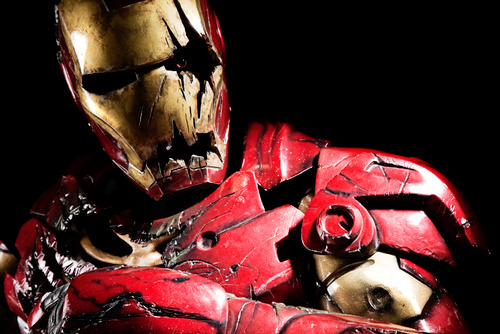 This costume is perfect from head to toe...and from metal jaw to bolts. Neko-tin is a Russian cosplayer who has been fine-tuning her craft with numerous costumes of varying depth. She proves that not every character has to be overly complex. Some are more simplistic, but each one looks just as cool when done properly and presented with confidence and style! 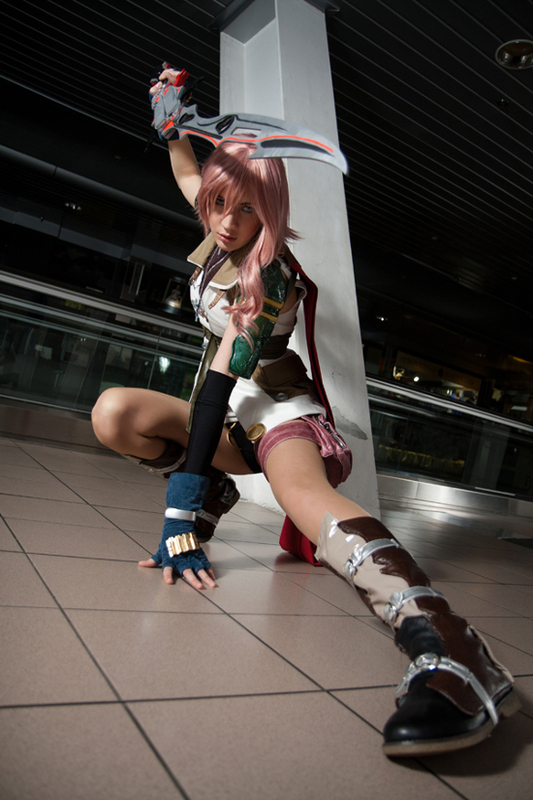 And she definitely looks stylish here as Lightning from Final Fantasy XIII. 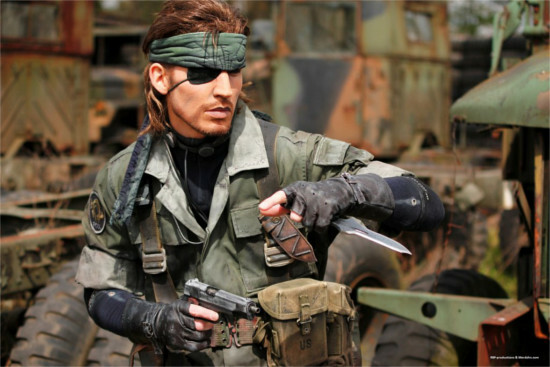 Rick Boer, found online as RBF-productions-NL, offers one of the most accurate versions of Snake from Metal Gear that I’ve ever seen. He’s in his mid-twenties and married with a child. He also teaches during the week and studies biology, yet still has time for his side hobby of costume making. This looks a little higher quality than just "side hobby" work to me! 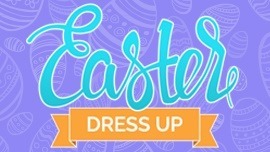 But it proves you don’t have to be a professional or have an art degree to produce highly coveted costumes. I just can’t get over how breathtaking things look when enhanced by a fitting background, like this picture of Freya from Final Fantasy XII presented by the mind and hands behind Ivycosplay, a young woman named Giulia from Italy. She not only makes cosplay costumes for personal use, but has found a unique way to make a living from it: she offers commissions, meaning she’ll consider requests for costumes and possibly custom make one for you! Humans don’t always have to dress as humanoid characters. They can mix it up by doing a “gijinka”, or a human personification of a non-human creature. 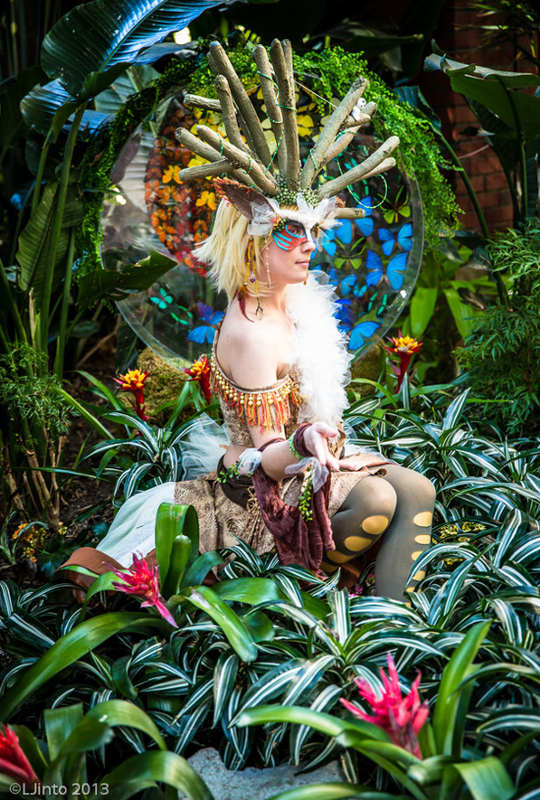 This is commonly seen with Pokémon cosplay, but can be demonstrated in several other areas such as with the deer-like Forest Spirit from Princess Mononoke. 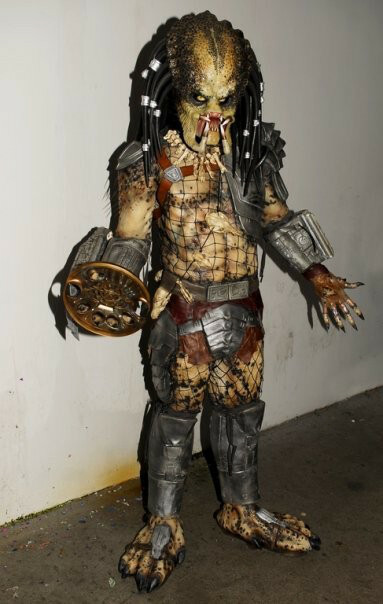 This really takes some creativity to accomplish, and Kudrel-Cosplay meets the challenge with flying colors. She is currently using her growing cosplay fame to promote other projects too, like an Etsy shop online. 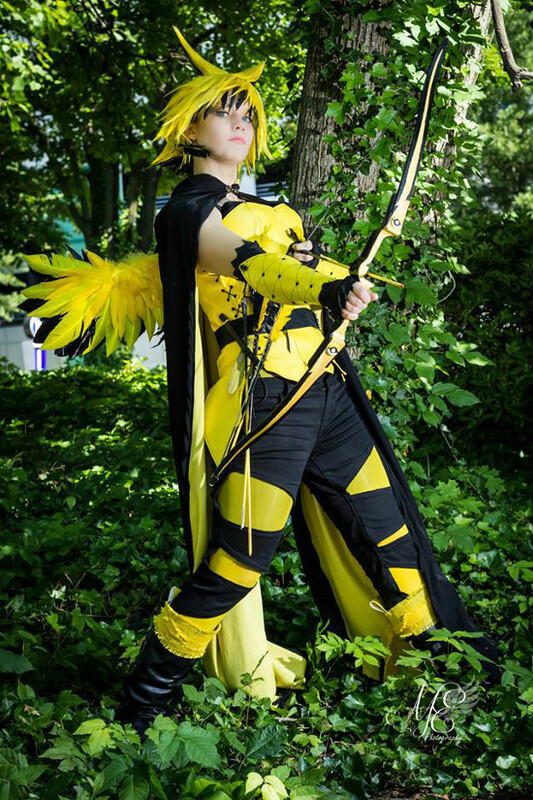 She lives in Canada but since she began cosplaying in 2004, she has taken to traveling to conventions to compete in contests. She loves to dress up because of the challenge that creating the perfect costume can present and the fun that the end result brings. Since I mentioned Pokémon, let’s continue with an original favorite from the first games. 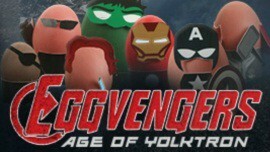 Can you tell which one this is? Hint: It’s Zapdos. 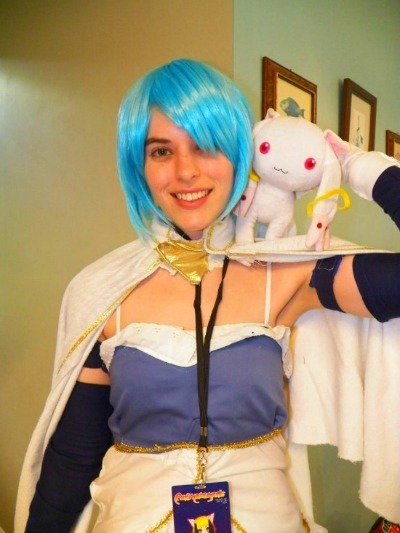 Courtney Armstrong, a 23 year old North Carolina native, is a member of the D20 girls and goes to several conventions a year, often dressing in three or more costumes per con. She already has ten conventions on her list this year! Plus, she’ll be running panels and helping with events at each one. That’s what the D20 girls do; they attend various events, help out, and try to foster a positive image of female gamers. And now for something completely different, our last featured cosplayer is none other than a cat named Guagua. We often stumble on whacky trends emerging from the East and this is no exception. 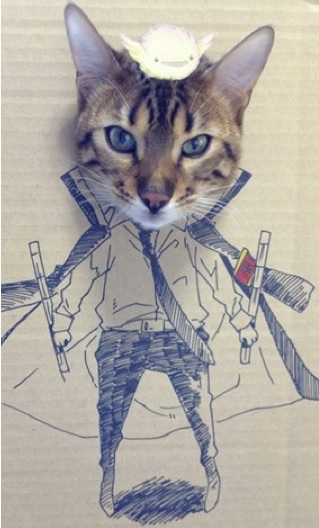 Chinese cat owner Toshiya86 celebrated her pet’s birthday by dressing it up in costume. 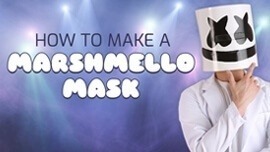 These aren’t typical costumes, though…they involve cardboard, a drawing, and a hole that the cat’s head is inserted into. The end result is the cat’s head on a tiny cartoon body. Adorable, a little odd, and maybe a little mean to some. Pictured is the surprisingly cooperative cat "dressed" as Hibari from Hitman Reborn, complete with a little birdie on his head. So you see, cosplay isn’t only for experts (or humans). You don’t have to have an art degree to participate. Veterans don’t shun newbies, they offer advice. It’s a community that promotes acceptance above all else, where people hug and laugh and pose for pictures, while snacking on Japanese munchies like pocky and Ramune and talking about their favorite TV shows and games. I have attended my local convention four years already, in costume, and I promise it has always been a blast! Any embarrassment that might first be held quickly dissolves away in the lively and fun atmosphere cosplayers create wherever they go. Ashley is a conversion optimization specialist for HalloweenCostumes.com with a growing passion for writing fantasy novels. She spends her remaining free time playing RPGs, watching BBC programs, and scouring the Anime world for her next cosplay inspiration. An avid fan of all things Disney, she secretly uses a pink, light-up princess cup for drinks when she’s at home… well, not so secretly anymore.